How do you fail fast, and what is the meaning of failing fast? The goal of the fail fast idea is avoiding spending time, money and resources pursuing something that isn’t working. People tend to keep investing in things that clearly aren’t working because it’s part of human nature to try to avoid failure. If you are an entrepreneur you probably watch the show Dragon’s Den or Shark Tank and often see people that have sunk all their life savings into a failed product or company. These people followed an idea that they thought was great, but didn’t look for the quick or small failures, that would have helped them realize they needed to pivot and change their product or even the whole strategy behind the business. The Fail Fast Podcast is here to try to create some awareness about Fail-Fast ideas and techniques, and help people embrace the small failures in order to avoid the big ones. Fail Fast, but never fail on purpose. Fail Fast and act on what triggered that small failure. 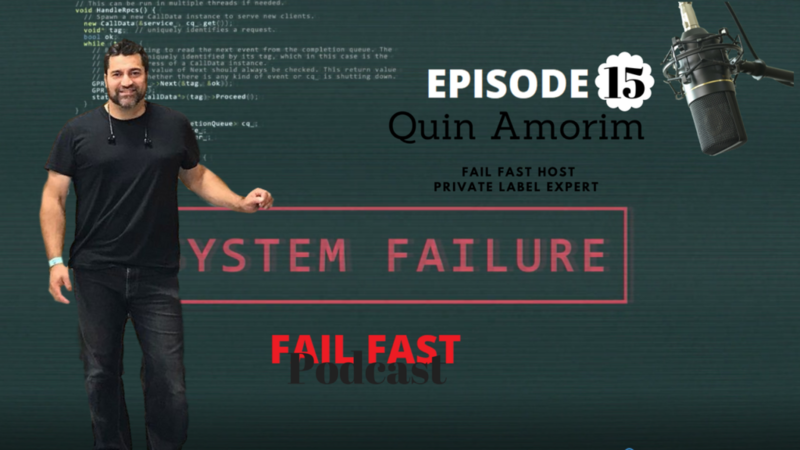 If you have a great failure story or know someone how has the best failure story you hear, make sure to check our website on how to be a guest on the Fail Fast Podcast. All you have to do is fill a sheet with your info and a couple questions, and then book a date and time that works for you. If you want to hear some great interviews on the Podcast make sure subscribe on iTunes, Google Play, Stitcher or any other app you use to listen.